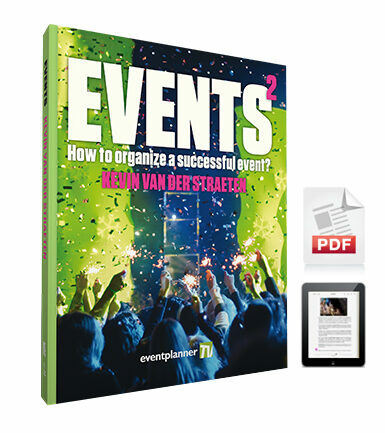 EVENTS 2 (Kevin Van der Straeten) - How to organize a successful event? EVENTS² is a reference guide for every organizer of events and parties. This new edition on event planning and event management is thicker than ever before, offers more depth and insight, and also contains a whole host of entirely new topics that you, as an organizer, simply cannot afford to miss! This fully updated edition is thicker than ever before and contains completely new topics that you, as an organizer, just cannot afford to miss out on! Think 'green events', 'hybrid events'... But also ROI, event logistics, marketing, security and creative business models will be discussed extensively. All the other chapters have also been completely revised and updated. EVENTS² is a complete guide for anyone interested in all aspects of the organization of events, congresses, meetings and parties: from the preparation of the event to the event itself, and the evaluation afterwards. The book is packed with practical tips and useful checklists for both corporate events as well as private parties. EVENTS² ensures that nothing is overlooked, while keeping your eye firmly focused on the smallest details. The book has its finger on the pulse of the very latest trends in the events industry. EVENTS² was created in collaboration with dozens of professionals in the event industry as well as event management mentors. This eBook will be delivered digitally in PDF format. Looking for the Dutch version? Kevin Van der Straeten is founder and managing director of the specialist online magazine eventplanner.net. Since its inception in 2002, the portal website has grown into the online reference for clients and organizers of (corporate) events. Kevin is also your host at eventplanner.tv, the online TV channel targeted at the event industry. 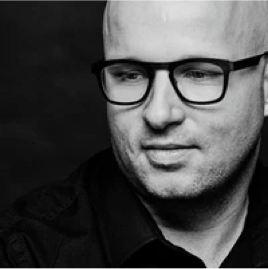 Kevin Van der Straeten began his career as an event manager and soon started his own event agency. He has added numerous national and international events to his impressive list of achievements.